Last week Israelis began a series of events in celebration of 70 years of statehood since the Declaration of the Establishment of the State of Israel in 1948. While New Zealand’s relationship with Israel has in recent years been frosty, history reveals a relationship that was not always so fraught. Indeed, this region of the Middle East has held a special place in the Kiwi imagination. From as early as 1903, groups were established in New Zealand to support the “upbuilding of Palestine”, as it was then known. The land was under the control of the Ottoman Empire and although there had always been Jewish presence there, from the 19th century Jews began returning in greater numbers, largely in response to the persecution they were suffering in Russia and Eastern Europe. Many thousands emigrated to America and a few found their way to New Zealand. The return to Palestine was enabled by the liberalisation of land laws under the Ottomans, which opened the way for private land purchase. During this period countries like France, Germany and Russia purchased land and built churches in the “Holy Land”. New Zealand’s Jewish community maintained close ties with fellow Jews on the other side of the world. This connection was strengthened through familial ties, synagogue affiliations, travel, and letters, newspapers and magazines. It was in the context of increasing awareness of Jewish suffering in Russia and Eastern Europe that support for a Jewish homeland grew. World War I had a massive impact on New Zealand and many young men found themselves serving in the Middle East. Of those who served in Palestine, many came home with a commitment to that land and its people. Some remarkable Zionist activities took place during the 1920s. 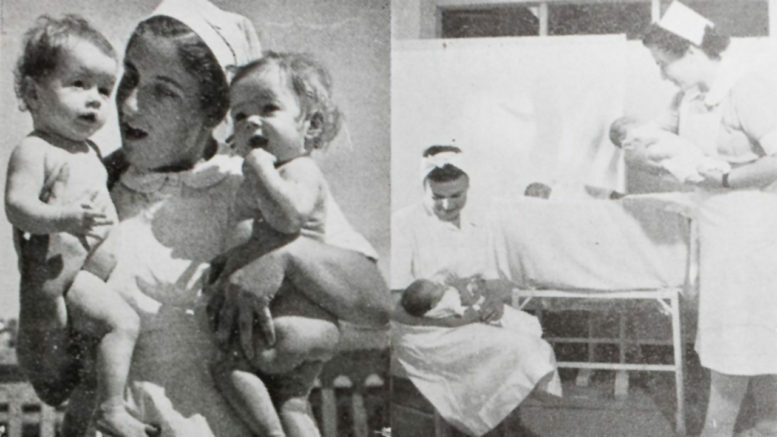 The New Zealand Women’s Zionist Organisation, led by Simone Nathan, established Plunket-styled infant welfare centres in Tel Aviv, whose services catered for Jewish and Arab mothers and babies. Plunket’s methods were innovative and New Zealand Jewish women led the way in establishing the movement here and promoting it overseas. At pivotal moments in the upbuilding of a Jewish homeland, New Zealand gave its full support. Prime Minister William Massey was involved in the Paris Peace Conference of 1919 which dealt with the post-war chaos in Europe. He had great sympathy for the Jewish aspiration to establish a homeland and used his influence at the conference to champion the cause. After the devastation of World War II, as the horrors of the Holocaust emerged, Prime Minister Peter Fraser affirmed his commitment to the Jewish community. New Zealand voted for the 1947 partition plan to divide Palestine into two states; one for the Jews and the other for the Arabs. The Jewish people faced enormous obstacles as they struggled to establish a refuge in their historic homeland. Remarkably they succeeded in draining the malaria-infested swamps and making the desert bloom. They won a defensive war in 1948 in which they were attacked by five surrounding Arab nations and then absorbed hundreds of thousands of Jewish refugees from Arab lands following the war. Although peace has been achieved with Egypt and Jordan there is still much work to do in finding common ground with other neighbours. Though Israel now leads the world in start-up companies and innovative technologies it still faces existential challenges. But in spite of all the difficulties Israelis – Jews, Arabs and other ethnic groups – thrive, embrace life and enjoy a vibrant and dynamic society. Sheree Trotter is Te Arawa and a PhD history candidate at the University of Auckland. This article was originally published by the NZ Herald.